The Toronto Transit Commission will be purchasing all new subway cars in the near future, creating the requirement of larger maintenance carhouses. 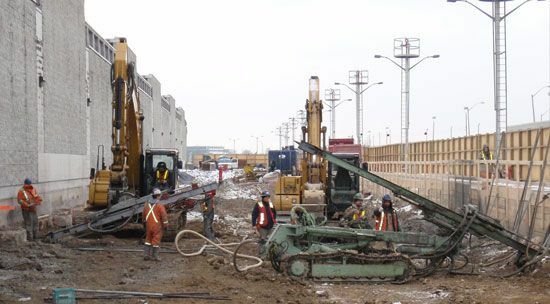 The original contract drawings employed caisson wall, soldier piles and lagging, and conventional concrete underpinning for the earthwork specifications related to our field of work. 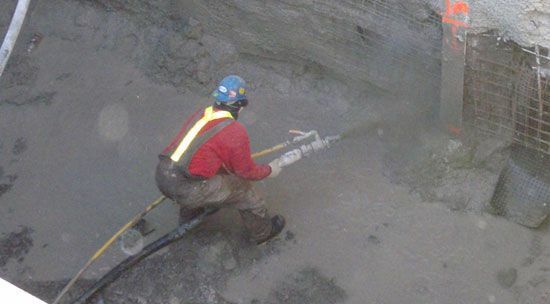 HC Matcon proposed an alternative engineered solution that included the use of shotcrete, underpinning, micropiles, soldier piles and shotcrete lagging (SPSL) to achieve the same effect. The acceptance of this proposal allowed for a substantial cost savings to the owner, as well as a shorter construction schedule for the various contractors involved. 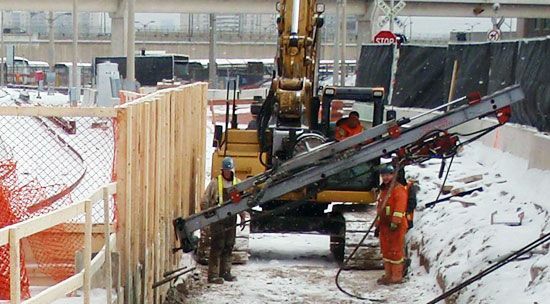 Mechanical jacking pits were built where shoring is used as a backform for manholes. Shoring for carhouses below- grade will be used as a backform for foundation walls. The substitution of shotcrete underpinning in lieu of caisson walls will allow for easier access to the tunnel portion of the project. This will allow for less demolition of the existing building and less clearance issues. The above are just a couple examples of the innovations that HCM Contractors Inc. will use to add value to any project.